July 2018, marks the 15th Anniversary of the fan-favorite Bioware video game, Star Wars™: Knights of the Old Republic. As huge fans of this legendary saga, EA Capital Games is thrilled to announce that some of your favorite companions from KOTOR are now playable characters in Star Wars™: Galaxy of Heroes. Bastila Shan is a human Jedi from the planet Talravin and was gifted with the Force from a very young age. She aligned herself with the Jedi Council during the Jedi Civil War and sought to neutralize the infamous Darth Revan and his apprentice, Darth Malak. Bastila is one of the most pivotal and recognizable characters from KOTOR. Jolee Bindo is also a human Jedi, trained at the Coruscant Jedi Temple. Even with his proper training in the Force, Jolee is far from typical Jedi. His tragic past caused him to break away from the Jedi Council and he cast himself into exile on Kashyyyk. Albeit a bit surly and a tad cynical, Jolee joins the player on their journey in KOTOR, and provides some insight into the Force. Bastila Shan is an incredibly potent Support character for the Jedi faction. She grants multiple buffs and bonuses for Jedi, increasing their damage output as well as bolstering their defenses. Bastila's Leadership ability is "Initiative". At the start of a battle, she grants all Jedi Turn Meter and Protection up, with the bonus of granting Taunt to a Jedi Tank. This instantly makes Jedi a lot more competitive in PvP modes, including Squad Arena and Territory Wars. This is the one you've been waiting for. DEVELOPER NOTE: Trying to capture the feel of a character that comes from Knights of the Old Republic can be daunting. Players can literally make these characters into just about anything they want, so trying to make a definitive version is difficult. 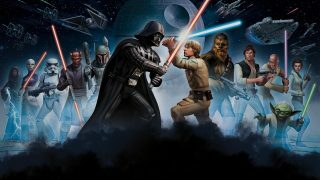 So instead what we've tried to do is "translate" the character into Galaxy of Heroes by looking at their identity, things that were said about them or by them in the game, and looking for inspiration in the Star Wars fiction itself to bring these iconic characters to life on the Holotable. With Bastila we've tried to bring to life the Jedi of Knights of the Old Republic. Known for her daring and her Legendary Battle Meditation, she provides a strong suite of buffs and abilities to help her Jedi allies. FINAL TEXT: Deal Special damage to target enemy and inflict Ability Block for 1 turn. This attack deals 20% more damage and has +20% Potency for each active Jedi ally. FINAL TEXT: Bastila Dispels all debuffs from herself and another target ally. They both gain Offense, Defense, Speed, Accuracy, and Critical Chance Up for 3 turns, then Bastila calls that ally to Assist. FINAL TEXT: Deal Special damage to target enemy, Dispel all buffs on them, and Stun them for 1 turn. FINAL TEXT: At the start of the battle, Jedi allies gain 15% Turn Meter and Protection Up (200%, can't be Dispelled), and Jedi Tank allies gain Taunt for 1 turn. While Jedi allies have Protection Up, they have +150% Tenacity and deal 35% more damage. 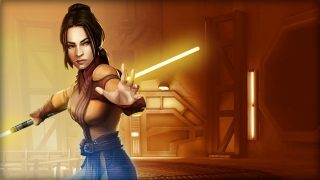 DEVELOPER NOTE: With Initiative, Bastila has a strong identity of proving early battle benefits as a trade off for long term utility, Jedi under her leadership start off with a very strong defensive buff (which also gives them a damage & Tenacity boost) and tanks (any Jedi tank) gets Taunt. This gives a Bastila-led Jedi team an incredibly strong start and introduces a new and interesting kind of Leader ability to the game. Jolee Bindo is the kind of guy that wants to help but doesn't want to put a lot of effort into it. Thus, his abilities center around healing allies and enabling them to dish out sustained damage. Jolee's kit is about as straightforward as a Healer can get, restoring Health to allies and cleansing them of debuffs. But that's not all, he can actually revive all defeated Jedi allies at 50% Health. He also has multiple ways to give his allies Protection Up, which when paired with Bastila's leader ability, makes allied Jedi more offensive. Jolee's first Unique ability even allows for him to be competitive in PvP, as he has +100% Tenacity to resist debuffs, and is completely immune to Turn Meter reduction effects. DEVELOPER NOTE: Jolee Bindo is an interesting character to try and translate. In Knights of the Old Republic he is a Jedi Consular, which means more Force Powers and Points then your other Jedi companions. When we began discussing adding Jolee it became evident that many of us in the studio had turned him into the party's healer due to his huge Force Point pool and large stat bonuses that increased its effectiveness. With the renewed interest in the Healer role thanks to the Sith Triumvirate Raid, we felt that making Jolee into a powerful healer would be a good opportunity and fit with the memories many players would have of him from their adventures in a galaxy far, far away. The challenge then was to make a healer for Jedi that could coexist in a world where Barriss Offee exists, and not create a new "timeout-team" in the process. 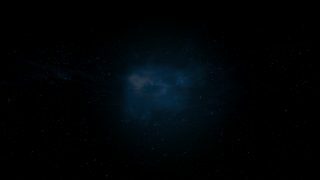 With the kit here we feel that we've translated the cantankerous old Jedi you remember to the Holotables with some new and interesting tricks (including a full team Revive) that Jedi have been needing. FINAL TEXT: Deal Physical damage to target enemy and recover 30% Health. If this attack deals any damage, reduce the cooldowns of Jolee's other abilities by 1. FINAL TEXT: Another target ally Assists. Heal that ally for 30% of Jolee's Max Health, then all other Jedi allies recover half that amount. FINAL TEXT: (ZETA) Dispel all debuffs on target ally and they recover 40% Health. Then, Revive all defeated Jedi allies at 80% Health and grant those allies Crit Immunity for 5 turns. DEVELOPER NOTE: Here we start to see some of the true power of Jolee Bindo. Jedi have had a pretty good time with Healing going all the way back to launch. The addition of the Zeta to Barriss Offee also meant the faction had a lot of passive healing, but crucially did not have a Revive ability. 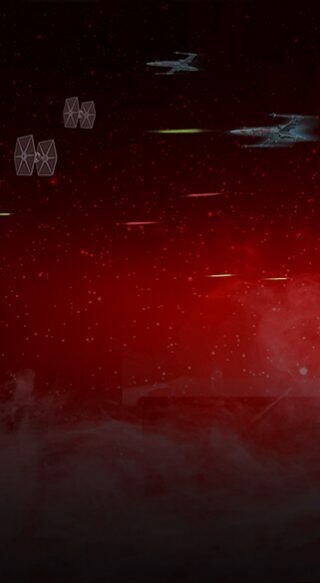 With That Looks Pretty Bad, we now have a strong single-target heal (the first in the game) which also cleanses Debuffs, but critically will revive ALL defeated Jedi allies with 80% Health. On top of it they then get Critical Avoidance (100%) for 5 full turns, making them very survivable once they get back up. It also grants the target ally Protection Up (thanks to his Experience & Wisdom unique) which when paired with Bastila's leader ability Initiative, makes Bastila & Jolee a strong addition to a Jedi team. Unique Ability 1: Don't Interrupt Me! FINAL TEXT: Jolee has +100% Tenacity and is immune to Turn Meter reduction effects. In addition, at the start of the battle, he gains bonus Crit Resistance equal to half of his Tenacity. DEVELOPER NOTE: Part of the job of a good Healer is to keep the team going even when things look grim. That's rather difficult to do however if you keep getting crowd controlled with debuffs or have your Turn Meter constantly removed. This ability flat out makes Jolee immune to Turn Meter Removal, which is already quite powerful, but in addition the increasing Tenacity as you improve it means he is just very hard to shut down. Thanks to this (and the Health boost from Experience & Wisdom) Jolee will prove to be a very durable Healer who can stay up and keep his team in the fight longer and healed up better. FINAL TEXT: Jolee has +30% Max Health. Whenever he uses an ability that targets an ally, he grants that ally Protection Up for 2 turns equal to 30% of his Max Health.